Oct. 16 "Will be Steve Jobs Day in the State of California"
This Sunday will be declared "Steve Jobs Day" in the tech pioneer's home state of California, as Apple holds a memorial service for its late founder. California Gov. Jerry Brown tweeted Friday evening that Oct. 16 "will be Steve Jobs Day in the State of California" -- a salute to come 11 days after the computer genius died aged 56, following a long battle with pancreatic cancer. Apple has invited some of Silicon Valley's biggest names to a private memorial service for Jobs on the same day, according to a copy of the invitation and several invitees cited by The Wall Street Journal on Friday. The event will be held at Stanford University's campus Sunday evening. 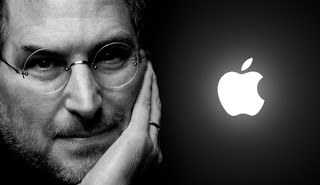 It follows a small private funeral held for the Apple co-founder and chief executive last week. The memorial is expected to be attended by Silicon Valley luminaries and others close to Jobs, said the invitees. Guests to the invitation-only service were asked to respond to Emerson Collective, a philanthropic organization established by Laurene Powell Jobs, the father-of-four's wife. Apple also plans to host an event for Apple employees to celebrate Jobs' life at its headquarters in Cupertino, Calif., on Oct. 19.